Picking out the make, model, color and all the bells and whistles is the fun part of buying a new car. There are more important decisions you’ll have to make during the purchase process, however, including how you will pay for the car. After all, your auto loan and monthly payment decisions will affect your finances for years to come. Financing a vehicle may be the best option for you, but if you’ve never done so before, the process can be confusing. How do you know how much you can afford and what kind of payment options are right for you? We spoke with LeeAnn Shattuck, co-owner of Women’s Automotive Solutions, to gather valuable insights on the car financing process. Shattuck offered three of the most common mistakes consumers should avoid when shopping for cars and car loans. 1.They don’t shop their financing. 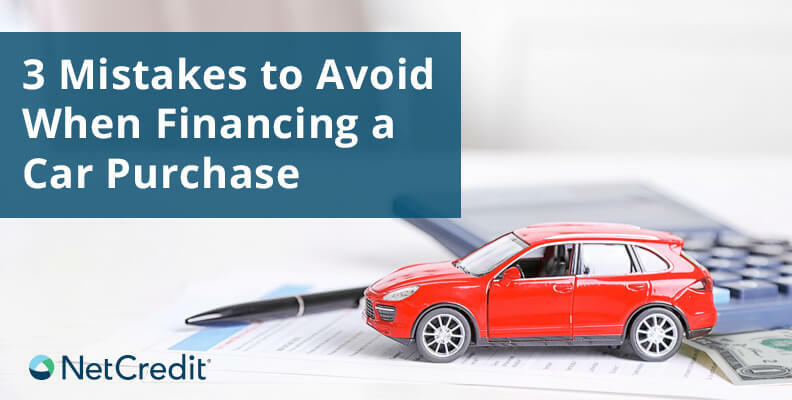 You wouldn’t settle on make and model without shopping around, so why would you commit to a financing option without seeing what else is out there? As Shattuck notes, many people jump the gun on auto financing and sign the first offer before weighing their options. Make sure you come prepared with an option that works best for you. Consider things like the length of your term and how that will affect monthly payments. The dealership may be willing to match or beat the terms you’ve come with, so it could save you more in the end. 2. They are a monthly payment buyer. It’s important to think about what you can afford on a month-to-month basis, but don’t forget how much smaller monthly payments will add up in the long run. Focus on finding the best balance of the two. Not sure what you can afford? Try using a car payment calculator to get started. Before you start, make sure you know all the factors that will go into your purchase, such as trade-in value for your current car, the down payment you can afford, and how much you want to pay in total in the end. 3. They finance for more than 60 months. Spreading payments over a longer period of time may sound enticing, but according to Shattuck, it might not be the best option. In addition to car maintenance, you’ll end up paying significantly more via interest. 60-month financing agreements should be one of your last options if possible. There are many steps you can take to make the car financing process work for you, but buying a car might not even be the best option. For help determining whether buying or leasing is the right choice for you, check out Should I Buy Or Lease A Car with Less Than Perfect Credit?